See that pile of homemade kale slaw…it ended up on top of my brat. And holy flavor explosion. Oh yummy, yummy! Add this to your menu soon! Like for tomorrow! In a saucepan, combine the water, bratwurst, and onion slices. Bring to a boil over high heat. Reduce heat and simmer 10 minutes. Internal temperature should reach at least 165 degrees. While the brats are simmering prepare the slaw. Combine all remaining ingredients in a medium mixing bowl. Stir to combine. Refrigerate until brats are completed. 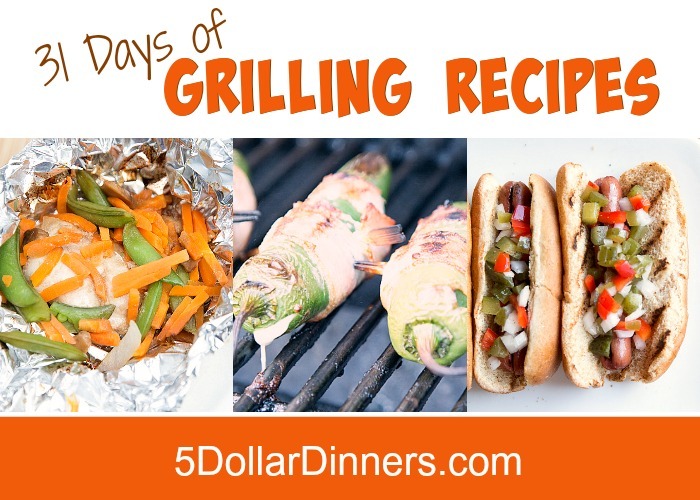 Transfer brats to a hot grill to add some smoky flavor. Turn after 3 – 4 minutes to brown on both sides. 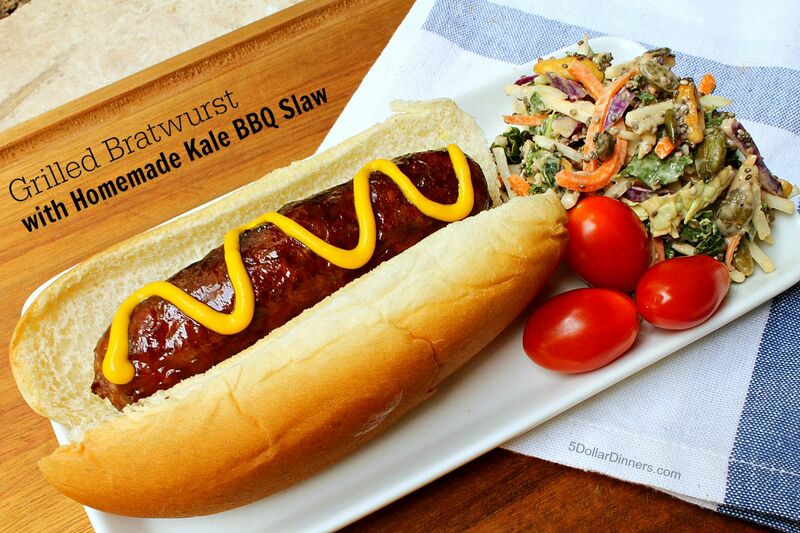 Serve the Grilled Bratwursts on a bun with mustard or your favorite condiments with the homemade Kale BBQ Slaw.